The UNHRC’s March Sessions in Geneva conducted debates on Sri Lanka on the 19th and 20th of March 2018, focusing on Sri Lanka’s progress towards the 30/1 Resolution’s recommendations after a period of almost three years. The High Commissioner “strongly advises the Council to focus its attention on the human rights of the people of Sri Lanka and in particular on the processes in place for accountability and reconciliation”. United Kingdom’s Minister of State for Foreign and Commonwealth Office – Mark Field in the House of Commons on 19-03-2018 said that “Sri Lanka’s pace of progress has been disappointingly slow and much remains to be done”. United Nations Special Rapporteur – Pablo de Greiff on 21-3-2018 told “Sri Lanka and Human Rights Council not to wait any longer to deliver transitional justice”. It is to be noted that out of 253 recommendations adopted in the Universal Periodic Review Sessions in November 2017, Sri Lanka accepted 177 and voluntarily pledged to implement another 12 recommendations while other remaining ones were left out for consideration. Acceded to the Optional Protocol to the Convention Against Torture. Appointed Commissioners to the Office of Missing Persons. “Progress has been made in the drafting of new counter terrorism legislation. We expect the draft legislation to be gazetted, including the legislation for establishment of an office for repatriation. On 13-12-2017 Sri Lanka acceded to the Convention on Prohibition of the use, Stockpiling etc. of anti-personal mines and on their destruction. Accession to Convention on Cluster Munitions on March 01, 2018. A three tier has now been established to regularly monitor progress of relevant ministers and agencies for the effective implementation of National Human Rights Action Plan 2017 – 2021. After the conclusion of the Session, the Sri Lankan Government issued a statement saying “ Sri Lanka held its head high with the acceptance of UPR along with strong supportive joint-statement by US, UK and other member states”. This is nothing but a self-praise and self- congratulation by Sri Lanka, with nothing of this sort of praises coming from any member country or UN High Commissioner for Human Rights. However, the UN High Commissioner’s final report will be submitted in the 2019 March Sessions, where a resolution could be placed for voting and adoption. The Resolution will then be sent to United Nations and later to Security Council if United Nations approves its reference. The legislation passed and gazetted like OMP and enforced disappearances are still lying intact with no steps taken towards their ground work and action. The net result and outcome from this Session is a blend of pessimism and doubtful hopes from Sri Lanka unless the United Nations and International Community set a time limit for Sri Lanka to implement all the accepted and pledged recommendations. Whether Sri Lanka will fulfill its promises and implement the recommendations is a million dollar question and any body’s guess. The steps taken by Sri Lanka so far as Sri Lanka’s UN Representative outlined are plainly hollow and fleshless. The OMP Act is just an information gathering mechanism which is facing boycott by the affected victims. The recently passed act for the Prevention of Enforced Disappearances is conveniently amended to remove retrospective effect, thus effectively cutting off the venues to the victims who wanted to seek any judicial remedy including liability for the perpetrators of war crimes and crimes against humanity committed in the past before the passage of this legislation. The proposed Counter Terrorism Act is still in foetus, the delivery of which could be aborted or limbless as it is speculated it will be no different than the dreaded earlier OMP Act. Furthermore both the above legislations are farcical in words and sprit as they are upholding the state policy of impunity by protecting the security forces from all liabilities, as confirmed by the OMP Chairman who recently said “Our function is not to punish”. [Interview to Daily News Paper on 31th March 2018 by Saliya Periis]. However, the statements of the US, Canada, Germany, UK, Switzerland and UN High Commissioner provide a glimmer of hope for the victimised Tamils, though it is also never easy nor possible without any time-limit, and unless backed by punitive measures if Sri Lanka fails to implement them. 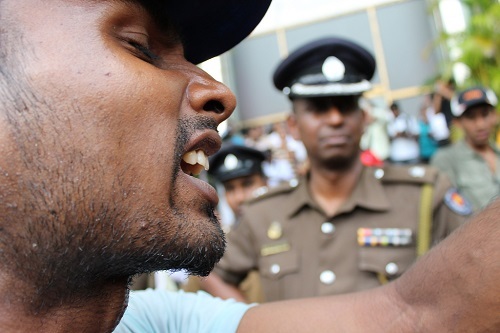 All the above countries are confirming Sri Lanka’s continuing impunity, undue delay, defeating tactics, lack of progress, failure to honor and fulfill the promised undertakings The above deliberate “playing games’ prompted the United Nations Deputy High Commissioner Gilmore to doubt whether Sri Lanka can fulfill the 30/1 commitments before the March 2019 Sessions.” However, it is likely that some damage controlling sops and steps by Sri Lanka are possible just before and during the forthcoming Session in March 2019, while leaving the core recommendations untouched. On the whole the 37th UNHRC Sessions produced mixed results to the Tamils, while Sri Lanka managed to swim ashore without much difficulty. The UNHRC, United Nations and Security Council, as guardians and enforcers of human rights must not delay any further to right the wrongs inflicted on the victimised Tamils in Sri Lanka. They are duty bound by legal and moral principles to explore other mechanisms and offer alternate solution to the 60 year old Tamil’s problem which was left to fester and grow without United Nations interventions [pogroms against the Tamils in 1956, 1958, 1971, 1977, 1983 and from 2004-2009]. The UN High Commissioner for Human Rights call for a specialised court manned by international legal team needs to be taken seriously to uphold the principles of accountability and justice. As this proposal has been flatly rejected by Sri Lanka, the United Nations and Security Council should consider setting up an Independent Tribunal including reference to International Criminal Court to uphold the principle of accountability and justice. The UN High Commissioner’s calls to member states to resort to Universal Jurisdiction if the above is not possible, deserves serious consideration and follow up action as a deterrent step to punish the past and present perpetrators of war crimes, crimes against humanity etc. Since accountability, justice and reconciliation are all politicised in Sri Lanka, It would be futile to expect Sri Lanka to live up to its commitments to UNHRC and United Nations. Furthermore Sri Lanka lacks the political will and determination to offer and implement an acceptable and permanent political solution to the victimised Tamils braving the vagaries of Sinhala chauvinism and Buddhist clergy’s opposition who holds the key to the ethnic problems in Sri Lanka. In conclusion, UN High Commissioner for Human Rights H/E Sa’ad Al-Hussein deserves full praise for his sincerity and commitments to promote human rights in the world whose reluctance and decision not to seek a second term due to dominance of super powers playing a damping role in his functions, is surely casting shadows of doubt and credibility of the UNHRC and Security Council. 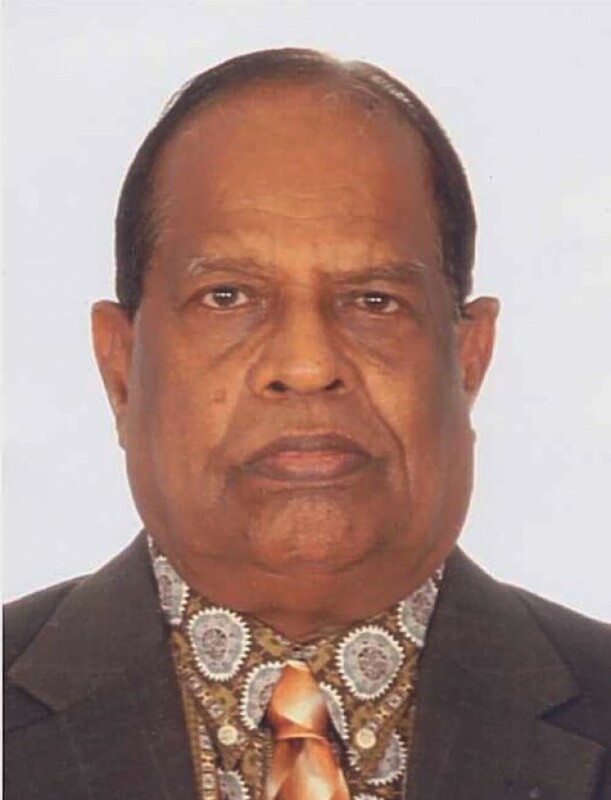 Above all, the United Nations and Security Council should not delay any further to initiate steps to set up an ad-hoc International Tribunal and also for referral to International Criminal Court as Sri Lanka has flatly rejected all the above internationally accepted mechanisms. The call of the frustrated UN High Commissioner for Human Rights to the 139 countries to resort to Universal Jurisdiction when a suspected Sri Lanka’s war criminal visits their countries must be given priority to nullify the Sri Lanka’s entrenched system of impunity. Human rights have to be protected and preserved equally in all countries and not selectively according to self-interests or world order. In this respect the US as the author and co-sponsor of the 30/1 resolution shoulders the primary responsibility to ensure the implementation by Sri Lanka before the next review Session in March 2019. An excellent of the fading Fundamental Basic Human Rights of Sri Lankan Tamils. The proposed path is the only way forward, for Sri Lankan Tamils to pursue to regain their grandeur of Language, Culture and Civilization in the island Sri Lanka, on the face of Sinhala Buddhist Majority Democracy. Well analysed and detailed information for all readers to understand. This will encourage the Tamil Diaspora to take action against the WAR CRIMINALS. whenever these war criminals visit any country. The UN High Commissioner for Human rights clearly indicted the possible action that could be taken by member countries in the UN. He has also send the names of these WAR CRIMINALS to the member countries to take action.